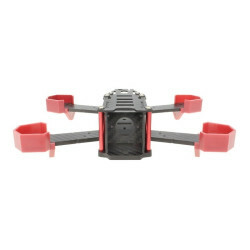 Nighthawk 200 Carbon Fibre Kit - 3mm Quadcopter frame. Nighthawk 200 Carbon Fiber Kit.This is Emax's smaller Quad to the Nighthawk 280 Pro, its a..
DYS-702 5.8GHz 32-Ch Diversity 7" LCD FPV Monitor Receiver with Folding SunshadeChannels:Band A: 586..
Emax Pagoda 2 Stub Antenna RHCP SMA x 2 Stub Version 50mmSPECIFICATIONS Center fre.. 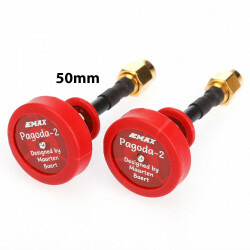 These antenna perform great as both receiver and transmitter (RX and TX) antennas. They are sold in two heights, 50mm and 80mm. Generally, we would recommend 50mm for your quad and 80mm for your receiver, but they are interchangeable and the true requirement varies from build to build. Sorry we are out of stock on this product, If you use the Notify Me! button (below) you will be sent an automated email once the product is added back to stock, or Contact Us and we will advise on an alternative.